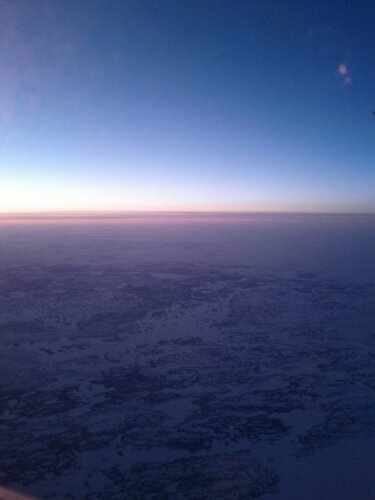 My flight through the night gave some splendid views of northern Canada. 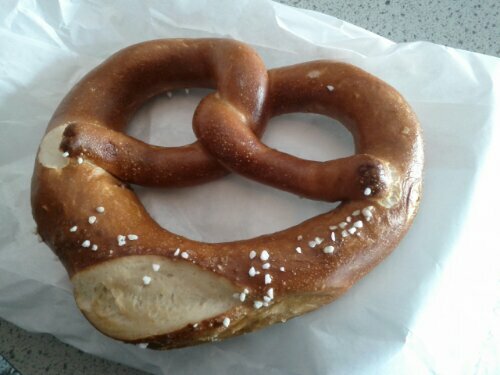 Upon arrival in Frankfurt, I quickly headed anywhere that would sell me a bretzel. Best move ever. 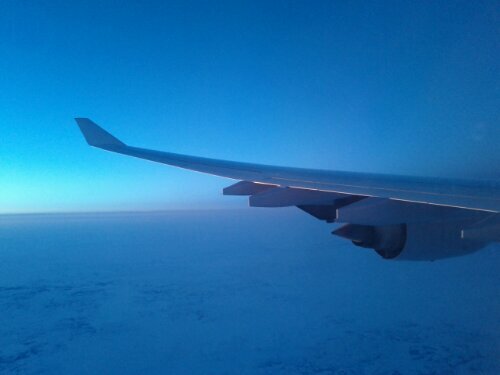 I boarded my connecting flight to Basel a short time later. 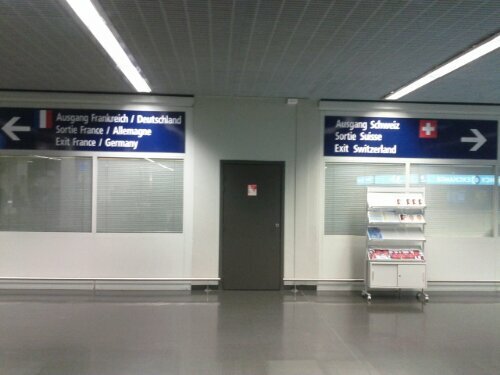 The Basel airport straddles the borders of France, Germany, and Switzerland. I had been pre warned to make sure I choose the correct exit. I was met by Lea and we began adventuring! 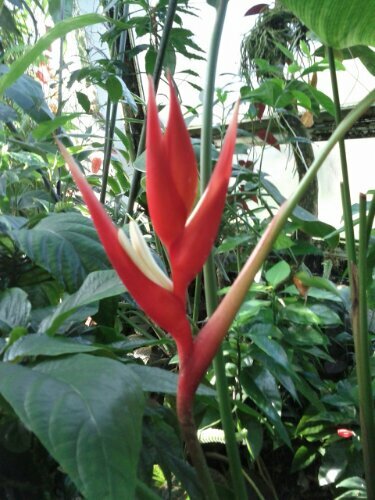 First stop was the university tropical arboretum. 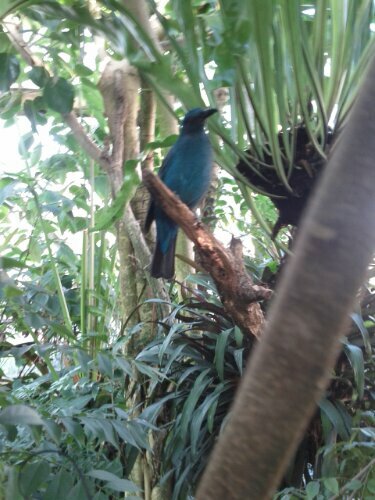 This bird is for Miki. 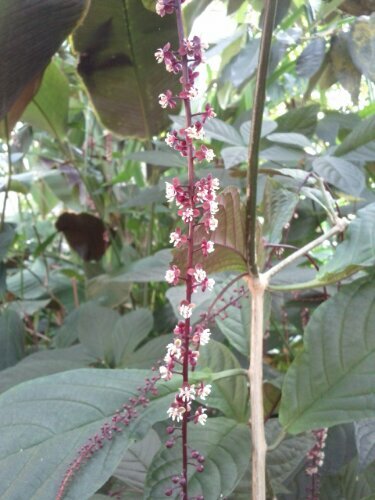 I have no idea what species it is. 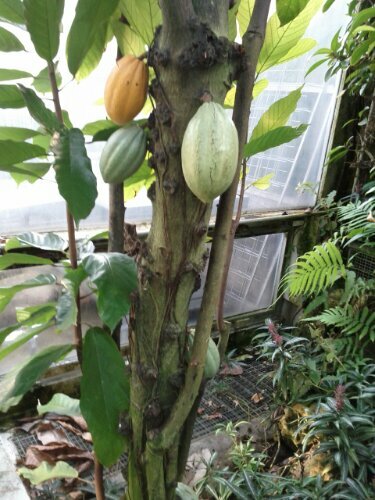 This is a cacao tree. It has one very ripe pod. 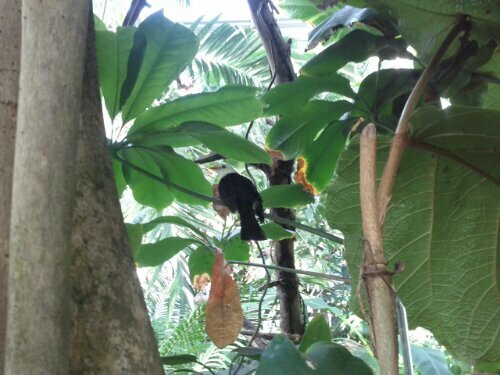 This bird is also for Miki. And anyone into blue stuff. 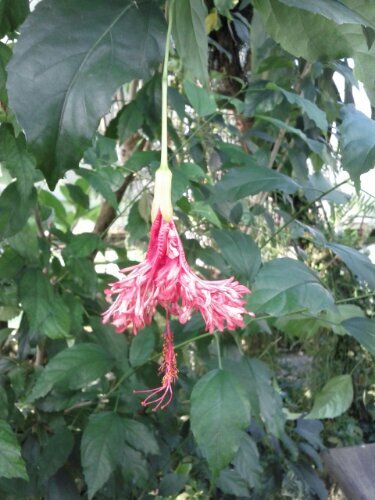 This is a dangly flower. 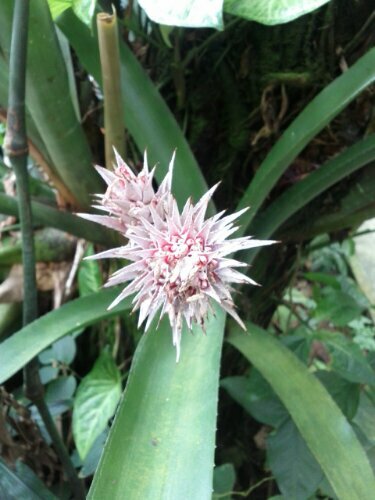 This is an uppity flower. The next one is hibiscus. Next we went to city hall. I tried to take a photo of the moon. I failed. 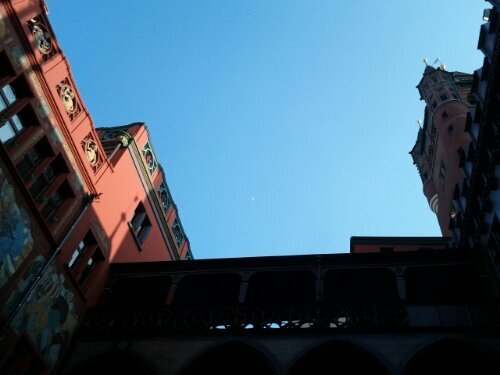 I got the moon in the next one though, taken from inside the city hall courtyard. 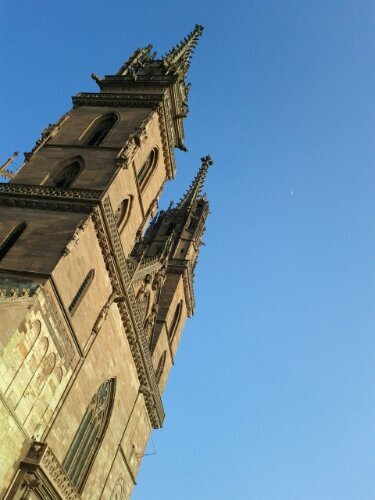 I took another photo of the moon at a cathedral. 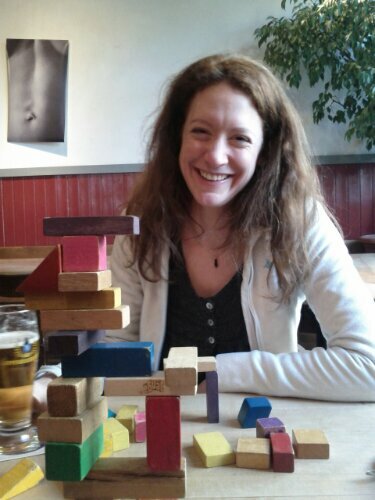 Then Lea and I went for beer and played with blocks. 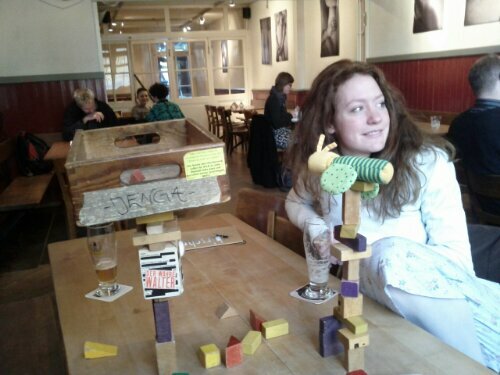 Our towers got more and more ambitious, eventually including anything nearby. 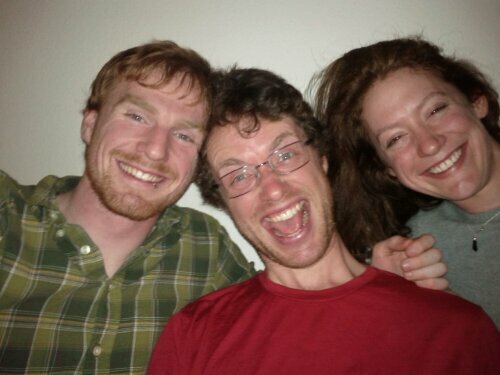 Eric joined us for dinner and then I passed out in the middle of the conversation planning for tomorrow. Sleep time. 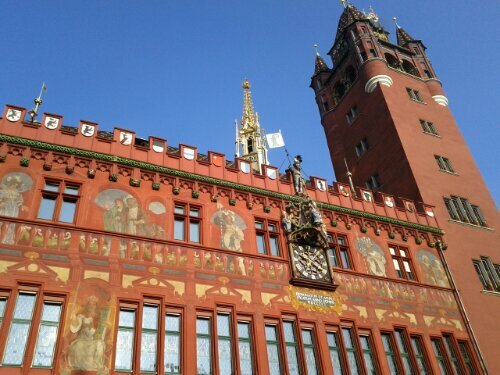 This entry was posted in Adventures and tagged Basel, Eric, euro2014, Lea, Switzerland. Bookmark the permalink.